This statistic shows the percentage of the top public funders for research and development on neglected diseases worldwide in 2017. 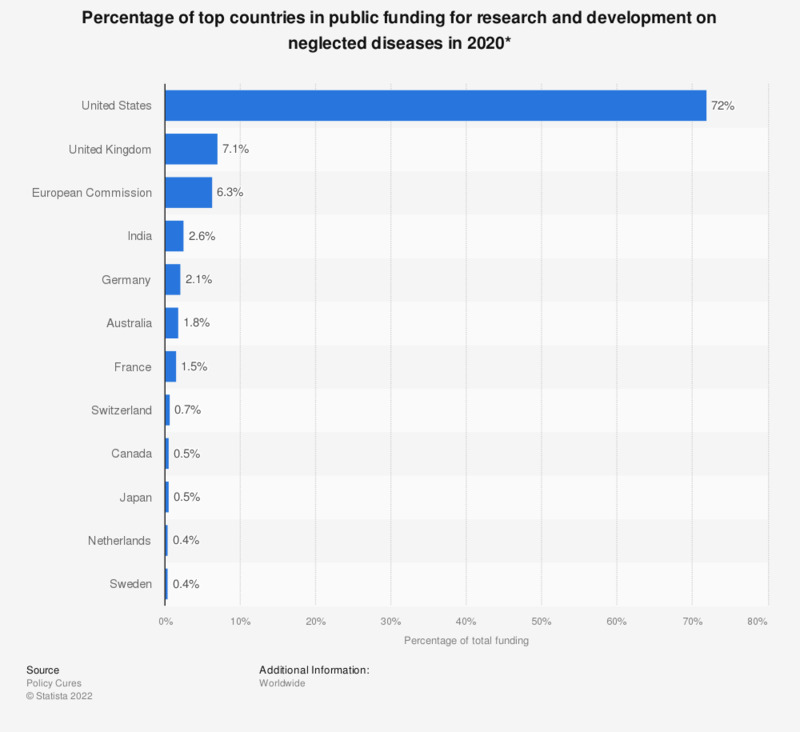 In that year, the United States was responsible for some 69 percent of the total global funding for R&D on neglected diseases. * Neglected Diseases are mostly tropical infectious diseases that receive less attention behind the big diseases (usually: HIV, malaria, tuberculosis) and are therefore labeled 'neglected'. Everything On "Diseases" in One Document: Edited and Divided into Handy Chapters. Including Detailed References. Diseases as death causes - U.S. Selected notifiable diseases - U.S.